"PROVEN CEO, EXPERIENCED ENTREPRENEUR, BESTSELLING AUTHOR, MARTIAL ARTS EXPERT"
Chief Creative Officer & Keynote Speaker at East-West Leadership Development, Inc. Successful sales professionals are never satisfied. Yesterday’s achievements are today’s performance standards, and surpassing quota is the rule, not the exception. This path leads to a widespread problem that Michael has coined as being “successfully miserable”. 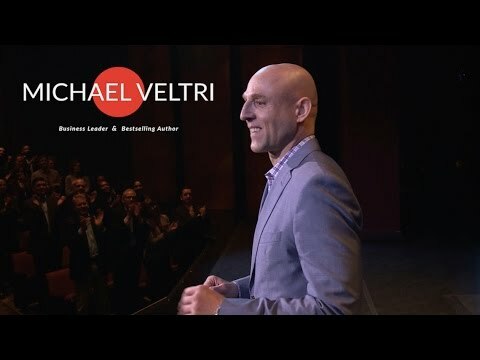 In this energizing keynote, Michael empowers sales professionals with the tools & techniques to (1) Deliver Sales SOLUTIONS; (2) Cultivate Lasting Relationships with Decision-Makers; (3) Create a Culture of Achievement & Excellence. Leadership clichés abound, but peak performance has become increasingly elusive. As the outdated methods continue to lose efficacy, Michael Veltri shares modern approaches from over 5000 years of wisdom. In this powerful keynote, you'll re-think your previously held beliefs on what it means to lead. Leaders will learn to (1) Craft a Purposeful Vision Around Meaningful Work; (2) Prioritize Focus, Time, and the Deployment of Resources to Maximize Results; (2) Avoid the 5 Biggest Leadership Traps. Michael Veltri can speak in Keynote, Workshop, Panel, Strategic Planning/Meeting Facilitation and Webinar sessions.